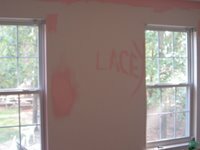 Just a few photos of Lacey's room as we completely "girlie" it! Daddy is doing a great job! 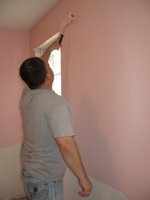 The bottom half of the wall will be white beadboard. 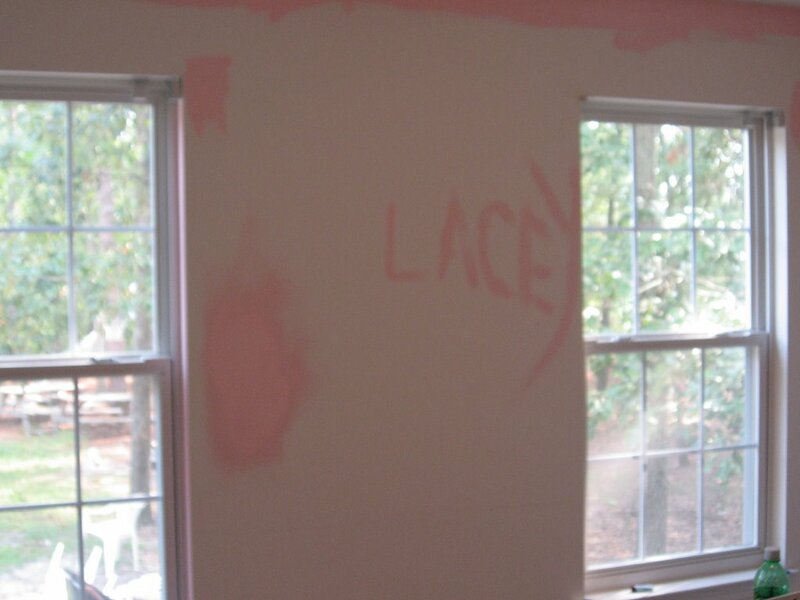 I hope Lacey likes pink! We have to get more shelving for the closet as well. Lacey already has quite a wardrobe. Of course Lacey will LOVE pink, ALL princesses do. Love the pink room, can't wait to see the finished product. How did you get your slideshow on the side of your blog?? I have tried several times and it never seems to work. It looks GREAT! THANK YOU Christy - I'll give it a try!